Was George Washington Carver a Christian? Having a creation viewpoint toward the world is more than a mental exercise. The whole world has benefited from the work of those who viewed the natural world as designed. Take, for example, the discoverer of the peanut. George was born the year before the Civil War ended. One evening night riders raided the home and stole Mary and her baby hoping to sell them as slaves later. Moses Carver offered a man 40 acres of farmland and his best racehorse if he retrieved the girl and her baby. The man came back with only the baby and kept only the horse as payment. The Carvers loved this little orphan and his older brother and taught him about God. As George grew, he had a great interest in gardening. A hard worker, he eventually attended Tuskegee Institute in Alabama, a school for blacks started by Booker T. Washington. 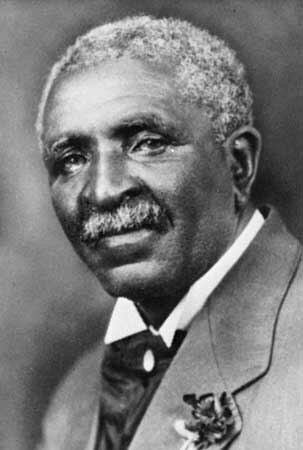 When he graduated, Dr. Washington hired George Washington Carver as a teacher. George was by this time a devout Christian. 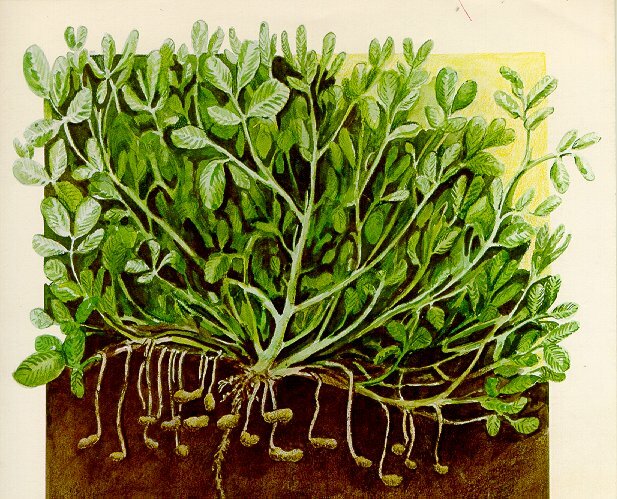 He believed God made everything for a purpose, even sweet potatoes and cowpeas (soybeans) and dandelions and chicory and pokeweed. The land had been leached of some nutrition by overproduction of cotton. When the farmers asked George what to do about it, he said, “Plant peanuts. 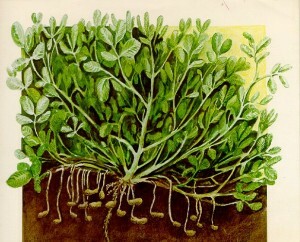 They are good for you and they will replenish the soil.” That seemed like a strange thing to do. 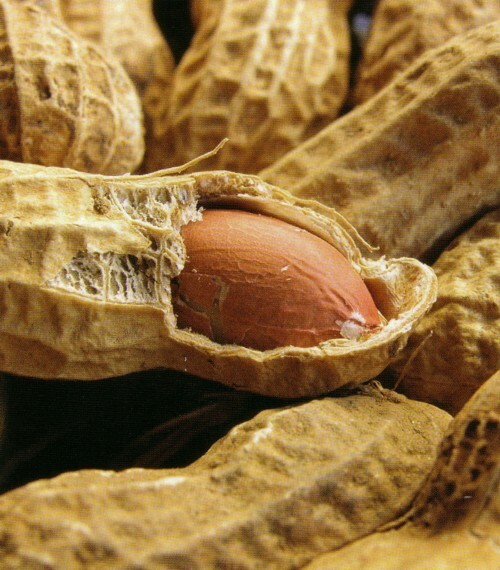 After all, peanuts grew wild in the woods and if a farmer planted any, it was only a small amount for his children to eat. Otherwise, it was considered pig food. “If we plant peanuts, what will we do with them?” they asked. George took this question to the Lord. “Dear Creator, why did You make the peanut?” he asked. God answered his question by saying, “Take it apart and find out.” He found the peanut was made of oil, sugar, starch, and carbohydrates. Through George’s knowledge of chemistry, God showed him what could be done with the peanut. Before long he made milk, ice cream, candy, imitation chicken, butter, soup, cake, and pickles. He discovered 300 different things that could be done with peanuts! These also included mayonnaise, dyes, shampoos, axle grease, ink, vinegar, soap, paints, shaving creams, and many more. By 1923 5 million bushels of peanut were produced, 7 million pounds of peanut butter, and 3 million pounds of peanut oil. By the time of his death in 1943, he could have been a rich man. Instead, he refused to take out a patent on any of his discoveries, saying everyone should enjoy what God gave us freely. George viewed nature as a creation with a purpose. He set out to find that purpose for the peanut. Our country and the world have greatly benefited from his work. Of what benefit is an evolutionary view of life? Peanuts also kill people that are alergic to them. From the ID stance, God created peanuts to kill people. It was interesting to findout that up until recently people thouht the peanut was pig food. DR. George was a man of God ,God blessed him with ability to dicover the many uses of this food.God still talks to us like He talked to MR Carver.To me this was the most inspiring part of this story.The man that went out of his way to help MR Caraver was also blessed with an excelent son. man created the gun to kill ppl but you arnt against them?? i love the peanut and i thank god everyday because he created peanut buttter!! dnt be negative, you missed the whole point of this article.. if you hav nothing nice to say keep you mouth shut.